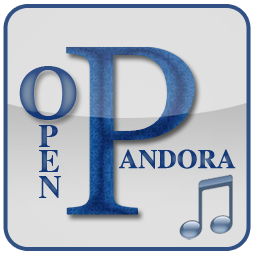 Its a crucial day for Pandora Internet Radio. CEO Joseph Kennedy is pleading his case in favour of the Internet Radio Fairness Act today, a bill that was recently introduced in Congress that would cut the cost structure for music streaming websites. Unlike SiriusXM Radio, which pays a small percentage of its revenue to music artists and labels, Pandora and other Internet radio stations like iHeartRadio have to pay a royalty for every song that is streamed online. Pandora’s CEO Kennedy argues that they will pay out around $250 Million in royalties a year, and thats more than half of what they will collect in total revenue this year. Kennedy points out that SiriusXM is paying just 7.5% of its revenue. However, Satellite radio also offers talk, sports, comedy, and specialty programming like the Howard Stern Show. Each of these channels costs SiriusXM a percentage of income as well, for instance Howard Stern’s channels Howard 100 and 101 cost SiriusXM approximation $100 Million a year to run. In the end its unlikely Internet Radio Fairness Act will pass but if it does Pandora and other Internet Radio stations would have more a lot more revenue to possibly invest into on air talents, thus giving options to future radio broadcasters.